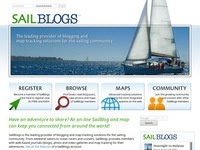 The CA Site ring is a directory of Sailing-related Web and Blog sites by Cruising Association members. By clicking on either the associated home page thumbnail or the name, you can go directly to that site. If you wish, you can search for a site either by entering its name in the Site Name box, or by using keywords (e.g. Baltic). CA Members can find out how to add their own site to the Site ring here. The CA is not responsible for the content of any site this directory links to. 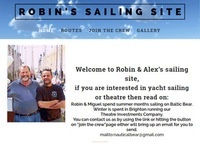 We are Martin and Liz and we sail primarily as a couple aboard our Westerly Seahawk called ‘Two Plus Two’. We purchased her in 2010 and she is our second sailing boat. Since purchasing Two Plus Two we have mostly cruised the UK East Coast around Suffolk and Essex. We have been as far west as Poole and up the east cost as far as Lowestoft. We have sailed up the Thames to London and into the Netherlands as far as Veerse Meer. We purchased Two Plus Two with the intention of doing extended cruising once we retired. Since we have both now retired we have left our base on the River Orwell in Suffolk and sailed into the Baltic via the Netherlands. In our first year, 2016, we mostly cruised around Denmark. We have over wintered in Germany since then and visited the west coast of Sweden and part of Norway in 2017. We visited the east coast of Sweden and part of Finland in 2018 and plan to cruise through the east coast Sweden again in 2019. The site records key events and passages relating to Arctic Smoke a 1974 Elizabethan 33 that I bought in December 2011. At the time of writing this (September 2015) she is in Gran Canaria from where I plan to depart in November for the Cape Verde and then on to the Carribean where Jamaica and Cuba will be our targets before returning to the UK via the USA and Bermuda and the Azores. 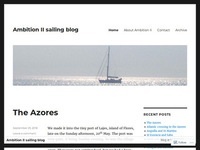 This is our boat blog in which I chronicle our cruises in Europe and various other boating topics. There is a considerable amount of information about sailing along the remote west coast of Ireland, which has been published in a book called Cruising the Wild Atlantic Way. 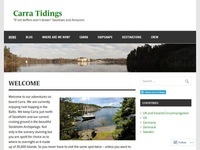 There is also a good deal of information about cruising in Scotland, specifically in the Inner Hebrides, and in Galicia, Spain. I am the editor of the CA Almanac for the west of Ireland. 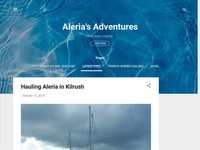 A previous blog covered the United States, Canada and the Atlantic Circuit, including crossing the Atlantic from Canada to Ireland, Spain to the Caribbean, and Caribbean to Ireland via the Azores. 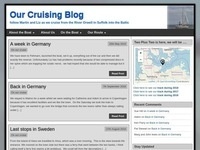 Articles about our stops along the way can be found on our website, www.coastalboating.net. That website also contains many articles based on our best-selling book, Happy Hooking. The Art of Anchoring. Blog by Richard Bessey and Justine Selman on their 2017/18 Atlantic cruise, covering Spain, Portugal, Madeira, Canaries, Cape Verde, Caribbean (Leeward and Windward), and Azores. 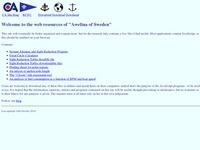 Homepage of Awelina of Sweden. Some hopefully useful files, mostly about astro-nav and quantitative articles on fuel consumption and forces on anchors. 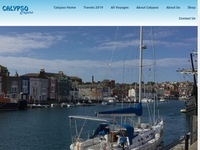 Link to the blog of "Awelina of Sweden"
Sailing "Mr Blue Sky" a Hanse 385 from The Isle of Rugen in the Baltic, back to Brixham, Devon, during May & June 2016. The passage included visits to Germany, Sweden, Denmark, Holland, Belgium & France before crossing the channel back to England. Gentle cruising around the Baltic overwintering Aalborg under the friendly eye of our HLR there Niels Mathiesen . Follow the adventures of Kate and Graham and their OVNI 395. We are Paul and Val Lingard, a retired couple who kept their Moody S38 in Scotland for 3 years before moving aboard for 5 months each summer from 2016 and heading very slowly towards the Mediterranean. It has taken us 3 years to reach North West Spain. 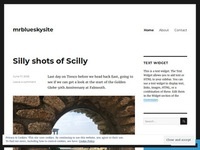 The blog records our journeys and there is also a section on our fit-out. We expect it to take us at least 6 years before we reach Gibraltar as we like to get to know a place before moving on!